From the New York Times bestselling editor of Combat, Victory: Volume Five includes Hangar Rat by Dean Ing and Eyes of the Cat by James Cobb. A stirring tribute to the Greatest Generation of Americans, Victory brings together the finest military fiction writers in the world with short novels of courage, skill, daring, and sacrifice. Here you will meet the men and women who fought and won World War II and truly made the world safe for democracy, in thrilling stories of war as it really was fought. 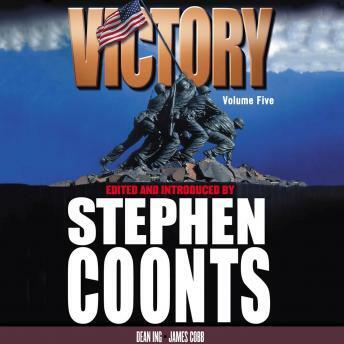 An exciting sequel to Stephen Coonts' bestselling Combat, Victory brings together today's greatest military, espionage, and technothriller writers in all-original, thrilling tales of World War II-great short novels that range from the home front to the battlefields of Europe to the depths of the Pacific Ocean.